Le Chevalier clears a hurdle en route to capturing the Open Timber March 31st at the Orange County Point-to-Point meet. Photo by Douglas Lees. The $2,000 Leeds Manor Virginia-Bred or Sired Flat headlines this Saturday’s (April 6th) 2019 Old Dominion Hounds Point to Point Races at the Ben Venue Farm in Ben Venue, Virginia. The first of ten races goes to post at 12 Noon and the feature wraps things up at 4:00 PM. A field of five has entered the flat: Dragonthorn Steed, Somerset Rose, Scented Up, Willisville and Talk Less (shown here). 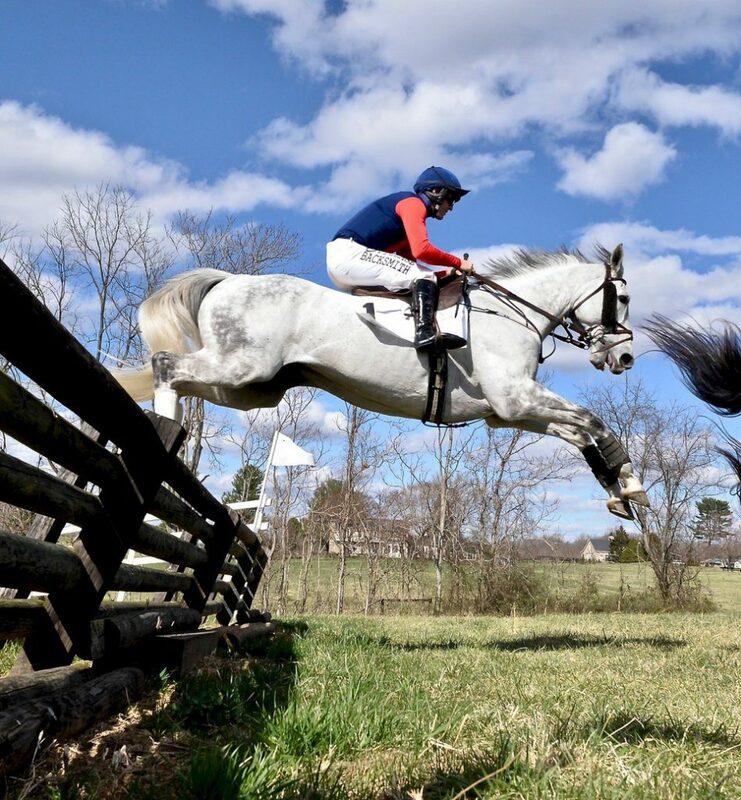 The latter captured the VAHBPA Flat March 23rd at the Piedmont Fox Hounds Point-to-Point. The 5 year old Blame gelding was bred by Mrs. C. Oliver Iselin and has bankrolled $75,760 from 19 career starts. Willisville, bred by Mr. & Mrs. Bertram Firestone, has earned $49,330 from 14 lifetime outs. Photo courtesy of Douglas Lees.